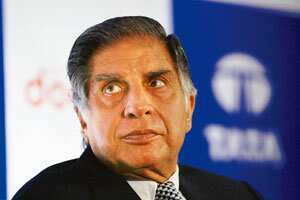 Mumbai: Moody’s Investors Service on Friday downgraded the corporate family rating of Tata Motors Ltd to a negative outlook B1 from Ba2 for the second time in six months. Moody’s last rating action was on 3 June. The ratings agency said conditions are expected to remain weak for at least 12 months which could impact Tata MotorL’s consolidated performance. Allen also attributed the downgrade to declining sales of Jaguar and Land Rover (JLR) marquees in the US and European markets. The firm had earlier this week requested a bailout package of £1 billion (Rs7,680 crore today) from the UK government. The negative outlook also reflects the refinancing requirement and the uncertainty around Tata Motor’s operating and financial performance. It does not, however, factor in any potential deficit in JLR’s pension plan which is due for revaluation in the first half of calendar year 2010. However, the ratings agency clarified that the rating could return to stable if a significant portion of the $3 billion (nearly Rs15,000 crore) bridge loan taken to buy JLR was successfully funded by a mixture of non-debt and appropriate long-term debt funding. The repayment, said Moody’s, would have to be such that debt-Ebitda (earning before interest, tax, depreciation and amortization) ratio stays below 5-5.5 on a sustained basis. At least $2 billion of the loan comes due in June. A failure to effectively term out the bridge loan in the next 3 months is also likely to create further negative rating pressure, the statement said. The worsening state of the global car industry is likely to persist through 2009, and pressure on the company’s earnings and cash flow will therefore likely continue to fiscal 2110, the statement said.